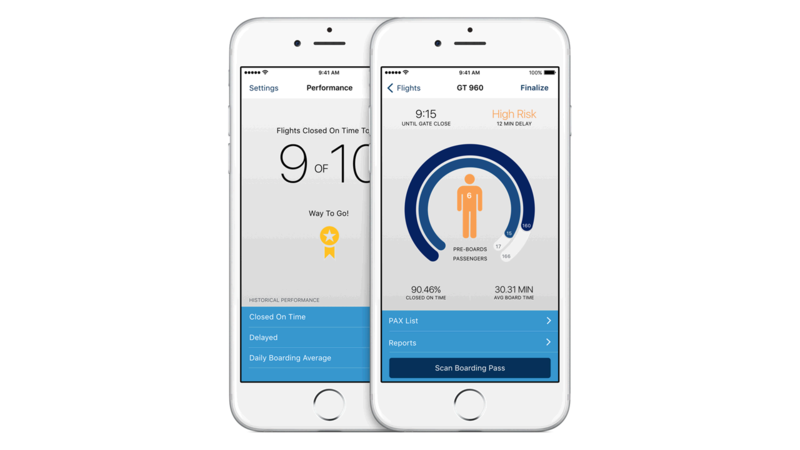 Rapid Board’s real-time analytics monitors boarding speed against historic data to assess gate assignment levels for optimal agent productivity and passenger experience. Analytics are also used to track boarding duration and identify patterns of inefficiency, which can be used to identify improvements in the future. Airlines now have the flexibility to assign customer service agents based on boarding needs without being constrained by physical location of kiosks with electricity. Built-in scanning capabilities accommodate all boarding pass formats, including mobile passes. Multi-peer functionality ensures consistency of data on all devices – even when additional agents with new devices are added. Customer service agents are empowered to perform boarding duties based on business needs, situational adjustments and passenger experience goals without being constrained by physical equipment and electrical limitations.